Moritz Grossmann recruited Swiss independent watchmaker Christophe Schaffo to give its Atum wristwatch an ornate facelift, starkly contrasted with the simplified, entry-level Atum introduced in 2016. Ordinarily a somewhat serious looking timepiece, the Atum Skelett has been completely open worked, with nary a dial over the movement. 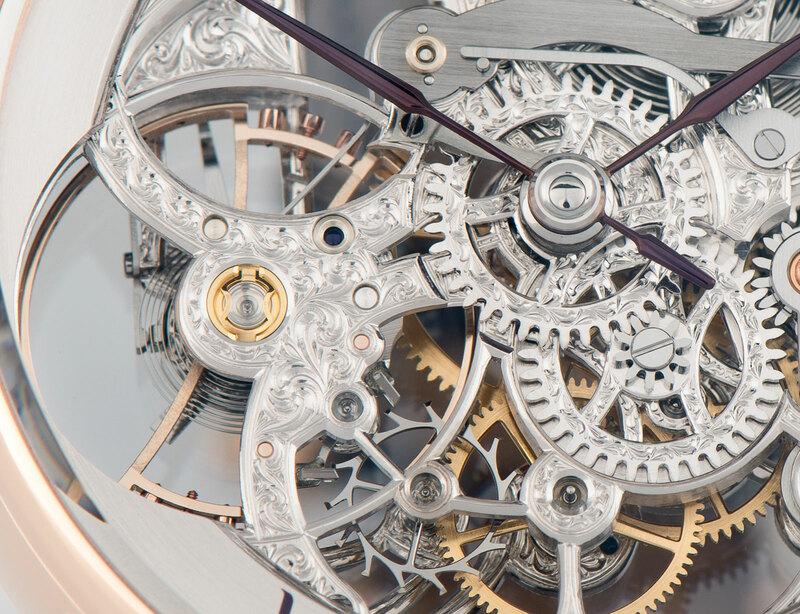 The calibre 100.5 inside has been skeletonised and then covered with elaborate hand-engraving on the bridges, all the way down to the pallet fork bridge beneath the balance wheel. 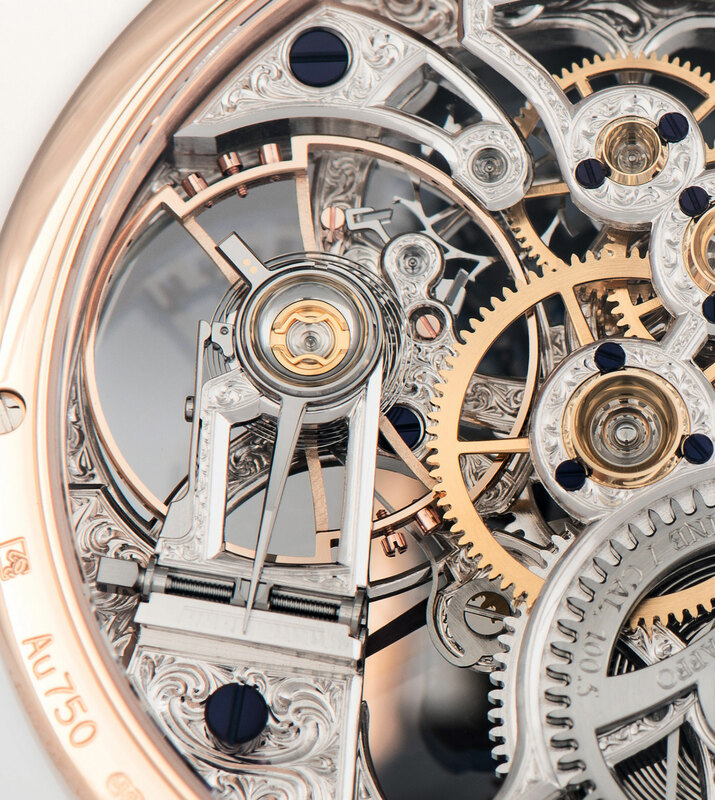 Schaffo is the son of Kurt Schaffo, an independent watchmaker who specialises in skeleton timepieces who has done work for brands like Corum, Zenith and Ulysse Nardin. 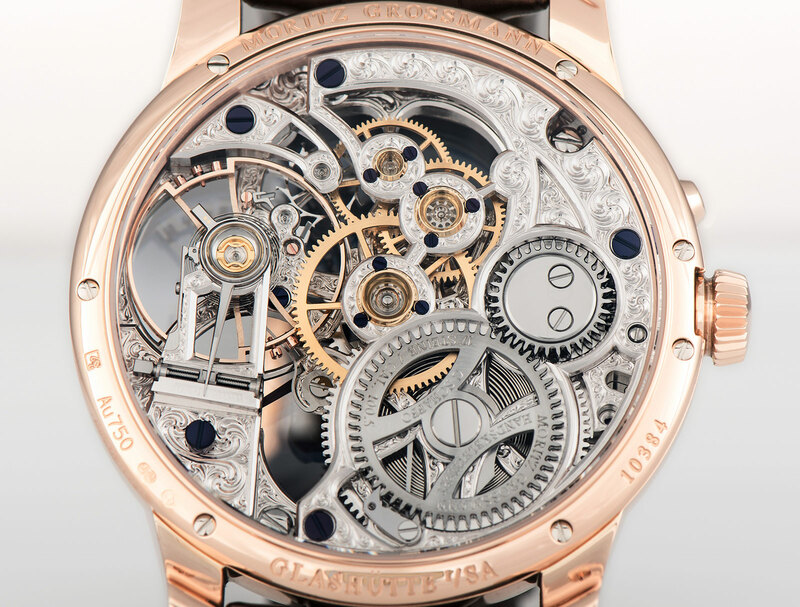 Available in rose or white gold, the Atum Skelett is 41mm in diameter like the standard model. 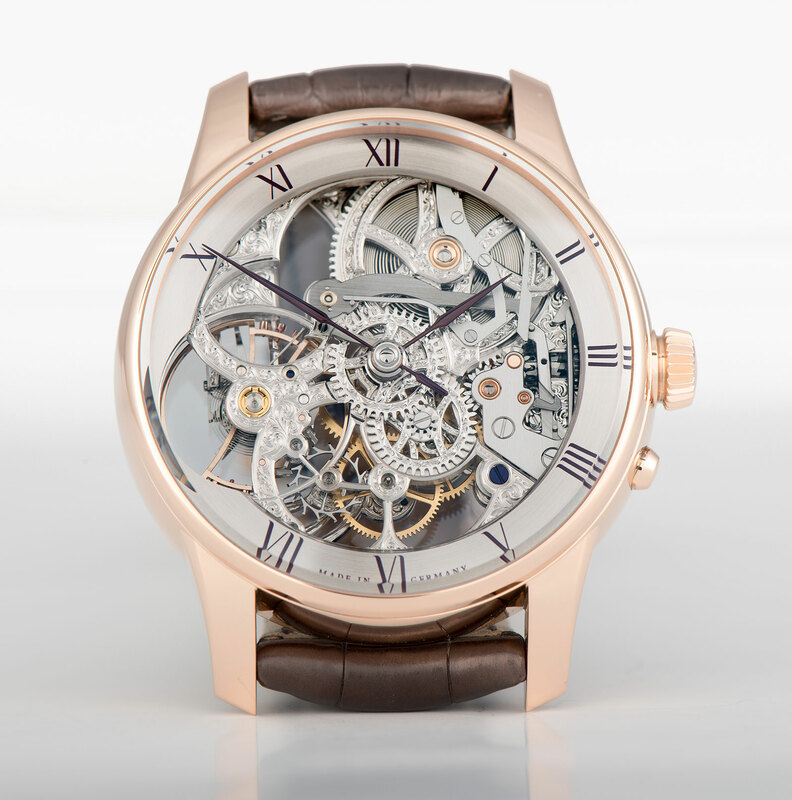 The Atum Skelett is available from authorised retailers and priced €87,100. 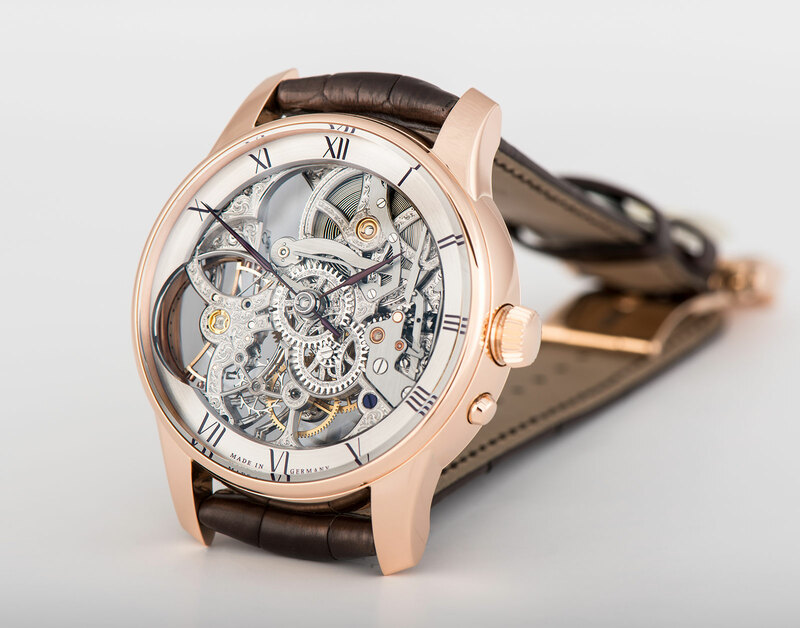 Just 8.34 mm high, the Arnold & Son UTTE Skeleton is the thinnest open-worked tourbillon on the market.